The importance of your child having a good appetite is not just for them to achieve their optimal growth. If they do not maintain a healthy appetite, problems can pop up in other areas of their life. Here’s why your child’s appetite is of utmost importance. Did you know, the first five years of a child’s life is the window of opportunity for growth? A child's appetite or lack of it leads to the amount of food he/she takes and may result in insufficient nutrient intake for optimal growth. Make sure to include iron as you feed your little one. Children with low iron levels have reduced appetite. Feed your child iron-rich foods like watercress, kale, and meat. Feed your child with essential nutrients that support his or her body defence system. If your child falls sick frequently, it will affect his or her physical growth, cognitive, and social experiences. 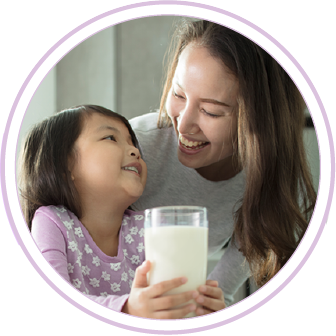 Did you know, prebiotics and probiotics are good bacteria in your child’s body that promotes healthy gut environment? Probiotics are live cultures lingering around your child’s intestines. Whereas prebiotics are friendly bacteria that stimulates the growth of healthy bacteria in your child’s gut system. In other words, prebiotics are food for the probiotics. 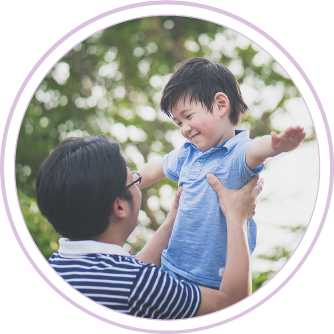 Pediasure® contains live cultures of Bifidobacterium lactis and Lactobacillus acidophilus which are good bacteria to support your child’s body defence system. Is your child ready for preschool?. At preschool, your child needs energy to learn new skills, attain knowledge, and have fun all day. Whether your child is learning to read, solving a puzzle, or playing at the playground, energy is important to an active child. So how do you ensure your child has sufficient energy? Make sure his or her food intake includes important nutrients such as carbohydrates and proteins to sustain energy throughout the day. 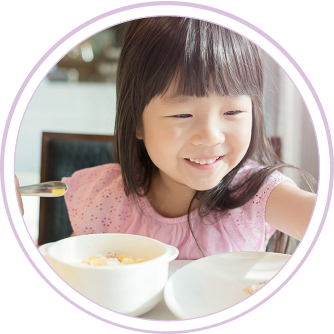 Did you know how your child eats will impact his or her eating habit later in life? Early childhood is the golden opportunity for your child to develop his or her eating behaviour. As a parent, you play an important role to encourage your child to establish a nutritious eating pattern. Get your child used to eating nutritious foods so they don’t cringe from broccoli or spinach when they grow up.